The representation of the systematically arranged chromosomes of a cell is called the karyotype of the cell (Figs. 3 and 4). 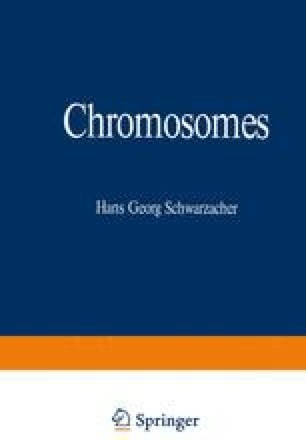 In a broader sense the term karyotype is also used in reference to a particular individual inferring that all the (somatic) cells have the same karyotype. Moreover the term can be used for a species, if individual variations which are very small compared to species differences are excluded. In this sense the expression “human karyotype” is used here.